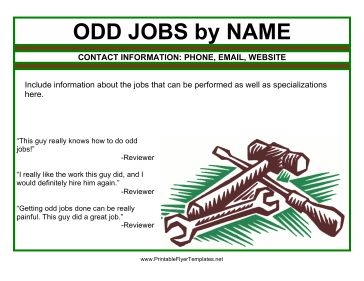 Doing odd jobs can be a challenging business. This green and brown flyer is perfect for advertising services people may not even know they need! The picture of tools will grab their attention, and your personal reviews will be sure to draw them in and seal the deal. Remember to describe what specific services are your specialties!